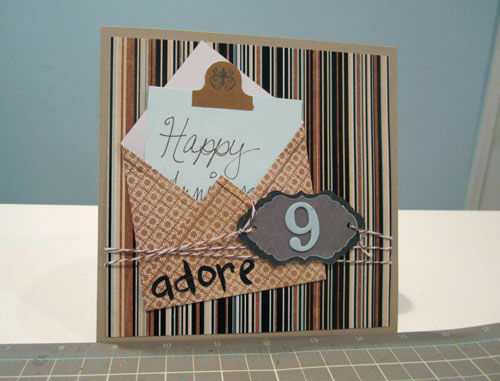 I recently saw this card on Pinterest from Danielle Flanders’ blog which inspired me to break out my Martha Stewart Scoring board and make my own mini envelopes on cards! Under the MSC tool, there is a hidden envelope guide. 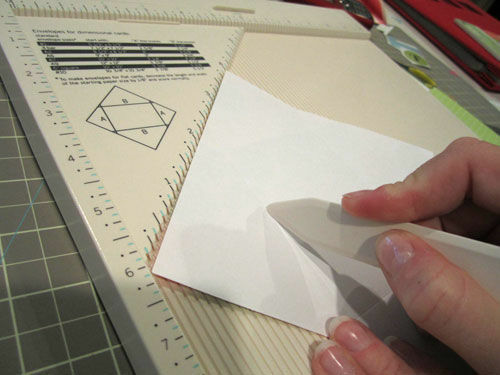 Place the guide in the top left corner of the board and follow the directions for the size envelope you want to make. In this case, I wanted to make a small one that fit on the front of a card. I cut my paper to 5 1/2 x 5 1/2″ and made the four score marks it showed me on the guide. 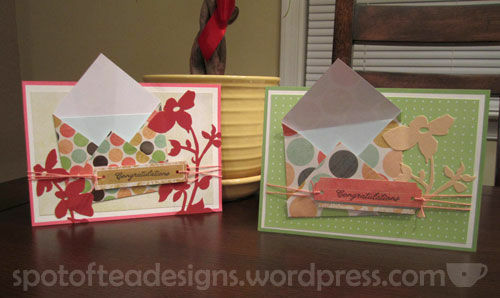 After some quick folding and gluing, I made this adorable little envelope. 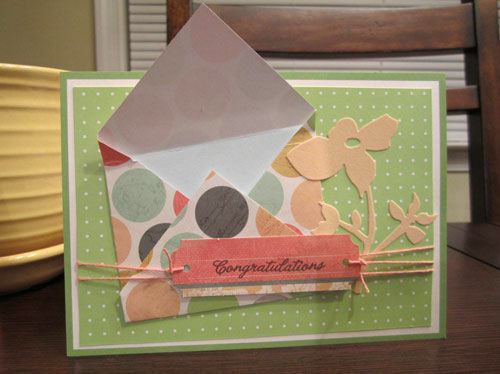 Since the envelope already has a spot for a message, I didn’t think this card needed to be the traditional folded type. Instead I stacked the elements on the front of this 6 x 6″ shape and finished this anniversary card marking 9 years together (dating). These are adorable! So glad I could inspire you. Thanks for showing me…they are fabulous!